The Modelica open-source BuildingSystems library is developed for dynamic simulation of the energetic behavior of single rooms, buildings and whole districts. The simulation models of the library describe the dynamic energy balance of the building envelope inclusive its boundary conditions (ambient climate, user behavior). 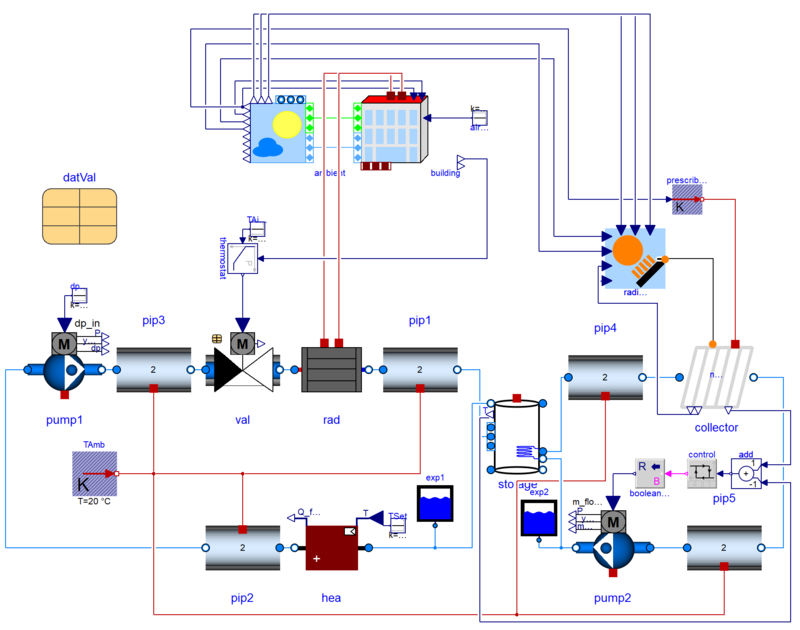 The corresponding energy plant system - e.g. a solar heating system - can be included optionally in an entire "Building System" model.